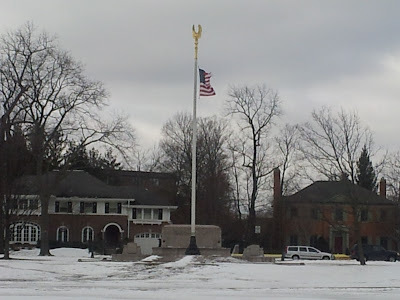 This is written on the monument for Veterans at the Village Green in Winnetka, IL. A beautiful field of green grass with a small playground populate this square. Although today, is would be easier to ice skate than run. 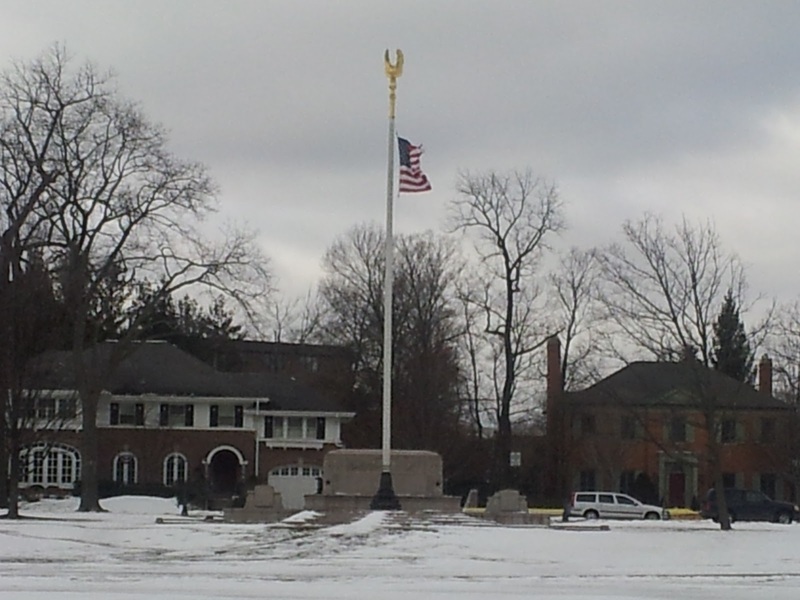 At the head, is this massive wooden flagpole with a 4 or 5 ft. tall gold leaf eagle. This is a remarkable display. Everything about this display is made custom and carved. The flag is the centerpiece. Every year, this green is home to memorial events, rummage sales, festivals and more. It is nice to see community around such an amazing flag display. As we say goodbye to February, FlagRunners are going to March on to more flag stories, but this time, we are going to be seeing your community through the eyes of the flag. Villages are made up of many different groups which manage, maintain, and create activities, resource, and safety for the village. As much as these organizations, businesses, towns, give there people a flag to follow, the flag also sees the community it represents. The flag is made up of all of us. We should see, share, and recognize what makes our community up.